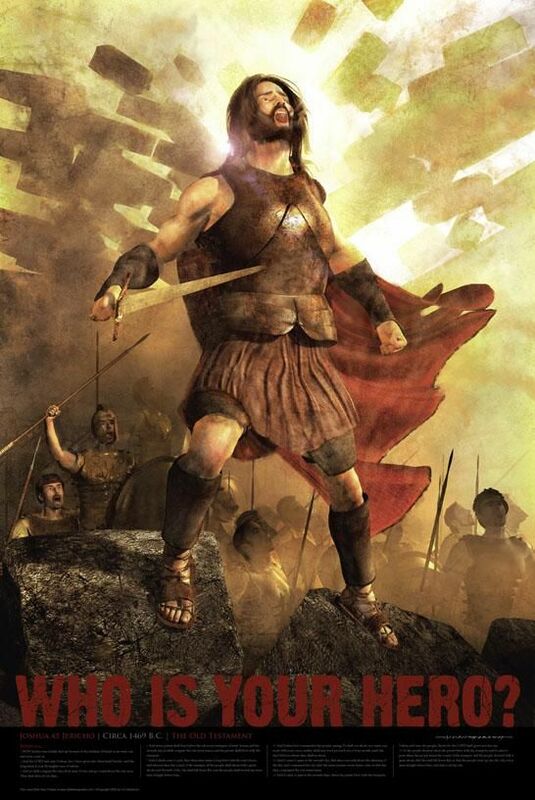 Joshua, General of Victorious Israel – A Type of Jesus Leading the Church into Victory Let’s proceed from the Pentateuch (the first five books as written by Moses) onto the book of Joshua and learn about their campaigns, victories . . . and failures and how we can apply such lessons to us today as the church of Jesus Christ. Such absolute commitment to abandon Egypt completely, and not overlook even the slightest property in delivering it (even if its just a hoof!) from there, and to the land of promise which God would lead them to, should be rightly mirrored in the attitudes and actions of those who belong to the church or ekklesia; that is to say “the called out assembly”! – See: JOHN 15:16-19. We, the saints of God should disparage even the slightest worldly influence or affection over our souls that rightly belong to our LORD and SAVIOR! Our whole-hearted devotion and commitment to the LORD Jesus is rightfully HIS and the world should hold no claim over us whatsoever! Everything that we are, everything that we possess by way of faculty as well as finance, all our strength, mind, soul and heart as disciples of Jesus Christ belongs to the One Who gave us all of them in the first place and it’s to Him that we commit them for the intent of worship, of service, of honor and glory and of course, love. Anything less is robbery; anything less reveals a devotion and love that is less than acceptable and right. In the above mentioned verses where God says that He has “given every place that the sole of their feet shall (future tense) tread upon”. Also in verse 6, 11, 13-15 and in 2:9 even Rahab, citizen of Jericho understands that God is the granter of the land to Israel (and previously God declared to Joshua the same message in DEUT 31:23). In the same chapter God warns Moses that though He Himself would be faithful to Israel and fulfill all that He had promised her, the people of Israel themselves would prove faithless, and in the midst of blessing and prosperity from the hand of God, they would become fat and turn to other gods (DEUT 31:16-21; Moses declares likewise of what God revealed to him regarding his countrymen in vs. 26-30). In DEUTERONOMY 28 God reveals how He would bless Israel for her obedience, and reward her for her rebellion (blessings recorded in vs. 1-14; rebellion rewarded in vs. 15-68). Note: the blessings are certainly more than enough; the rewards are ‘over the top’, quite superfluous in a sense I believe, because God wants to thoroughly discourage Israel from rebelling against Him so that He in His holy justice wouldn’t have to chasten them! The church generally speaking in the realm of Christendom has grown “fat” and increasingly ambivalent towards biblical truth and conduct in this Laodicean age; if any would seek to engage in spiritual warfare, such a deplorable condition as this is as unsuitable as a fat, lazy, insubordinate soldier who sleeps when the alarm sounds for the call to arms! Behold, I will gather them out of all countries, whither I have driven them in mine anger, and in my fury, and in great wrath; and I will bring them again unto this place, and I will cause them to dwell safely: (see also ISAIAH 11:11). We as Christians can observe the faithfulness of God in the face of Israel’s own disobedience and take heart, understanding that for those in whom He has begun that good work, though we may stumble and fall, though we may commit sin, as we confess our sins and wash in the blood of the Lamb (1 JOHN 1:7-9), He will faithfully forgive us of our sins and complete His work in us (PHIL 1:6). Just as Israel will one day, by the grace of God become the paramount principality under the Prince of Peace, the Messiah Y’Shua, we too as believers will overcome all the power of the enemy, through faith in the Risen LORD (1 JOHN 5:4)! Spiritual victory in Christ Jesus is assured for the true believer! Just as the nation of Israel will be completed in all that God intends for her, by the return of the Messiah, we as the church will likewise “be like Him” and completed when we “meet Him in the air” and see Him as He is (1 THESS 4:16-17; 1 JOHN 3:2-3). Yet why was it necessary for Israel to engage in all the exercise and battle and trials and testings? God being God, He could have merely spoken a Word and all the enemies of Israel would have simply vanished like so much smoke in the wind! God is all about teaching, and training and developing His saints in their relationship with Him, and this is no less true in spiritual warfare than in any other aspect of the Christian walk. Let us as the saints of the church of Jesus Christ therefore take notes in these battle strategies dictated by God Himself, to His servant, the general of the armies of Israel, Joshua. On a side note, it’s interesting to observe that Moses the Lawgiver was able to bring the children of Israel within sight of the Promised Land, but it was Joshua whom the LORD chose to actually deliver them into that domain. Likewise, the Law of God is able to lead us to the truth, but it can’t instill its truth of holiness and righteousness into our hearts: it’s by Jesus Christ; our ‘Joshua’ that alone can lead us into this victorious life by His Spirit of grace! Why did God tell Joshua to not be afraid or dismayed? Because in the natural realm, he had every reason to be: he was venturing into strange, new territory with aliens and pagans of fierce power and huge walled cities; also of giants such as King Og and whole tribes of such (See NUM 13:33; DEUT 1:28; 2:11,20; 3:1-2; JOSH 12:4; 13:12; 18:16). No doubt he was also a witness to the stubbornness of these people he was called to lead, and was familiar with their tendency in being “prone to sin”. Yet God called him to be diligent in the Word, to obey its precepts, to hold fast to the truth in the face of great adversity and opposition – even when such came from and as a result of those who should have been allies with him! Then he would have good success, and so will we if we heed this Divine counsel! We can afford nothing less than to be wholly given over to the Word of God, in its reading, understanding and application in our lives, and all the days, hours and moments contained therein! The JERICHO DIRECTIVE –Joshua had sent two spies into the tremendous city of Jericho which in the Hebrew, is Yariho and is also thought to derive from that root, though an alternative theory holds that it is derived from the word meaning "moon" (Yareah) in Canaanite, since the city was an early center of worship for lunar deities. How interesting that one of Israel’s first encounters in warfare in Canaan were with a people that worshiped the ‘moon god’ which was also worshiped in pagan Arabia prior to Mohammad’s conversion to a monotheistic belief. The citizens of Jericho had heard already the stories of Israel and how the Red Sea dried up before them as they crossed over (the same thing happening at the river Jordan), and how they defeated the Amorites and such powerful kings as Sihon and Og; see JOSHUA 2:9-11. Rahab made a pact with these two spies from Israel, that by granting them asylum and not telling her own people that they were there, that she and her family would be spared when they conquered the city, to which the spies agreed. She was told to bind a scarlet thread in her window, and that this would be a sign for the warriors of Israel to spare that dwelling. This is an amazing type (model) for salvation, for as the armies of Israel came in and decimated the people of Jericho, Rahab and her family were spared by a scarlet thread – representative by type, of the blood of Jesus Christ the Lamb of God (Himself foreshadowed in the Pentateuch by the sacrificial lamb whose blood spared souls in Egypt from the angel of death that would pass over houses so anointed). Just as Israel was instructed to take the land and receive victory in warfare, so we as the church are instructed to be sanctified (JOSH 3:5; LEV 20:7,26; 1 PET 1:16; PHIL 2:5,13) – and take back all that is in rebellion against the LORD which resides still in our sinful nature, via confession of sin, surrendering our will, and sanctification by the Spirit. As Israel was instrumental in the salvation of Rahab (who was the mother of Boaz [husband of Ruth] and is mentioned in the genealogy of Jesus Christ; MATT 1:5) and her family, so too the church is instrumental in heralding the Gospel for the salvation of lost souls. Spiritual warfare, as has been stated many times before is about “outreach and uprightness” – both the Gospel of Jesus Christ and being sanctified in practical ways of every day living, walking uprightly before the LORD. In chapter three of Joshua, God demonstrates the leadership of this General and His blessing upon it by the crossing of the river Jordan. Israel was preceded by the Ark of the Covenant containing the Law of God, and instructed to step into this swollen river (which at that time of year far exceeded its usual banks) which would then part, much as the Red Sea did previously under the leadership of Moses. The authentication of Joshua as the legitimate leader of Israel was performed by our miracle-working God (see JOSH 3) when the priests bore the Ark into that magnificent river and then stood still as Israel passed by. The Jordan, a natural barrier, was no barrier to those whom God commanded, and who bore His very Law upon their shoulders in bearing the Ark of the Covenant. No barrier, no weapon shall prosper against the LORD’s peoples, be they of Israel or of the church (ISAIAH 54:17)! Crossing Jordan was entering into a new life, just as those of us who venture into victory through a new life in Jesus Christ. We who are Christians have put away the things of the flesh, and are led of the Spirit, thus in a figurative, but spiritual sense as well, follow the example of Israel whom God commanded through Joshua. Once they did cross the Jordan they were circumcised anew (as a nation; see JOSH 5:2-8); such consecration was, and is necessary prior to any expectation for victory. Prior to their consecration of circumcision, they established their testimony by the twelve stones (one for each tribe) which they laid in the Jordan River (JOSH 4:20-24). From Gilgal the nation of Israel with testimony and consecration, with the Word and Spirit of God, with faithful leaders who would not compromise the command of the living God, nor be slack in keeping it diligently, would proceed onto the city of Jericho. Joshua arose early that next morning and visited Jericho by himself (or perhaps with a small entourage) to inspect the city. From JOSH 5:13 it seems to suggest that he was alone as no one else is mentioned save for Israel who was still in encampment at Gilgal. It was here that Joshua had an encounter with the LORD as did Moses in the burning bush. Note that when Joshua asks this impressive warrior whether he was for them or for their enemies, this towering Person replies with “No . . .” He is the Captain of the host of the LORD and as such, the question more properly asked would be, “Who is on the LORD’s side”? It’s vital to understand that we not seek to gain God’s approval by ratifying our plans and getting on board with our own agendas, but rather to seek Him out and learn His will, and follow Him! In reality, Joshua didn’t lead the army of Israel to victory; it was the Greater Joshua (Y’shua), Jesus the Messiah of Israel! Joshua then recognizes who this was who stood before him, and calls Him Lord and petitions His will to be known by him. The response was forthcoming, but first another matter was brought up – “take off your shoes, Joshua; you’re on holy ground!” This command confirmed what this General of Israel already perceived, for he had heard of the encounter Moses had with the LORD God on Sinai, and the similar command that was given to the Law giver. With the matter of removing his shoes settled, the LORD instructs Joshua what he was to do in engaging Jericho, and these instructions are revealed by the LORD and in the actions performed by the General of Israel and its army in chapter six. Now Jericho was straightly shut up because of the children of Israel: none went out, and none came in. Jericho and its leadership recognized the authority of Israel by the feats that the LORD accomplished for them; likewise Satan and his own forces recognize the authority of the church by our spiritual rebirth and the indwelling of God’s Spirit in each of His saints. It’s imperative that the enemy dissuade us in believing that we have any such power bequeathed to us by the LORD Jesus Christ – (see MATT 16:18). 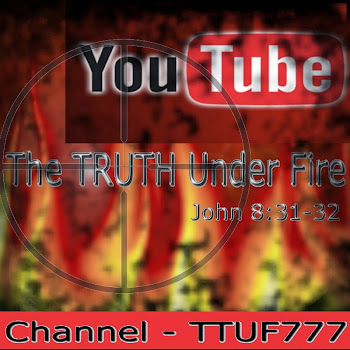 This is why it’s vital that each believer called of God to engage in this warfare be absolutely familiar with and established by faith in the truths of our spiritual authority and subsequent victory. Again, note that the LORD God speaks to Joshua regarding Jericho that He has “given into [his] hand Jericho”. "Given" - past tense! In God’s eyes, it’s a done deal; a ‘been there, done that’ sort of thing! Not just the city but all of its political authorities and military powers! By the same token, the church is promised victory in advance! Taking territories in our lives that were lost and ruined by sin, reaching out with the Gospel and infiltrating enemy territory by means of ministering to the degenerate hearts of Satan’s slaves (potentially, all those in the world not yet redeemed by the blood of the Lamb) and defeating Satan and his principalities in their purpose of quenching or perverting the Gospel message, the salvation of souls and the equipping and maturing of the saints to do great exploits for God and His increasing Kingdom is what we should be about! God commands that the children of Israel should march around the city of Jericho six days; interesting because the number ‘six’ is the number of man, and here we see a fortress and power established by the will of man (the city-state itself) about to get toppled by the LORD God! God confounded the Tower of Babel as well; and He shall do so again in these last days when the global government under anti-Christ is broken by the glorious Light of His Coming (DAN 2:44; 2 THESS 2:8)! The number of priests indicated by God is seven (speaks of perfection in the sense of completion). Priests are intercessors on behalf of others, and here is the important lesson that if any victory can be forthcoming, prayer must assume the vital role that it is and we must not cease to pray until such ministry is completed, in any given circumstance or venture, according to the will of God. These priests bear seven trumpets of ram’s horns (called a shofar), which are always (but not exclusively) used in military campaigns, rather than the silver trumpets used in the Temple. Note that it states that the priests were to make a “long blast” with the trumpets which is significant as this symbolizes “hope and the strength of God”. The shofar’s shape being curved or bent represented the act of being bent or submitted to God. Are we as God’s children and warriors likewise submitted to the holy will of God for our lives, in all matters of the heart? Is there yet one item, one area, one un-confessed sin that is yet festering in us? Some example of rebellion that refuses to surrender? We must be submitted and surrendered if we ever hope to obtain the victory in our practical lives. As the acronym goes: A.V.R.A.S. “Absolute Victory (in life) Requires Absolute Surrender (to Christ)”! Marching around the city on the seventh day would seem to be in violation of the Sabbath in which no travel of significant distances was allowed; yet here they didn’t merely compass the city once more (a seventh time in as many days) but they marched seven times more than on any of the previous six days! Apparently the Ark of the Covenant was present for this military engagement; however the ark and the priests themselves (of Levi) were exempt from military duty, and yet here they are bearing the ark! What is the significance of all of this? And the armed men went before the priests that blew with the trumpets, and the [rearguard] came after the ark, the priests going on, and blowing with the trumpets. And seven priests bearing seven trumpets of rams' horns before the ark of the LORD went on continually, and blew with the trumpets: and the armed men went before them; but the [rearguard] came after the ark of the LORD, the priests going on, and blowing with the trumpets. By now all Israel was consecrated by circumcision; the priests of the Levitical order were likewise consecrated by the proscriptions of the sinful flesh and ordination of all holy things contained in their office as well as their lives. The testimony of twelve stones and sounding trumpets was in evidence. Interceding priests, prepared warriors and the leading of God’s authority as represented by the Ark of the Covenant were in this grand procession, marching in silence, utter silence! Imagine the puzzlement of the Canaanites as they watched for six days, Israel compassing the city once, and then leaving. At first they may have assumed that they were on a reconnaissance mission (but then why lead the entire army rather than a small contingency force?). By day seven, when they saw them marching again, they no doubt were thinking ‘To what purpose is all this marching? How do they hope to assail us with such exercise?’ Then I can well imagine the slight shiver of dread crawled up their spines when once they completed their cycle, rather than returning to camp, they began another . . . and another. No doubt every eye was riveted on that procession, wondering what would happen next; six times in one day they marched about Jericho, and then they began a seventh circuit. . .
And it came to pass on the seventh day that they rose early about the dawning of the day, and compassed the city after the same manner seven times: only on that day they compassed the city seven times. The time of victory was not of Joshua’s choosing, nor of his leading captains; the battle did not belong to any of Israel, but “the battle is the LORD’s” (1 SAM 17:47); the victory granted to us by the LORD is assured, but we cannot hasten it, nor would we want to delay it. It comes in the LORD’s appointed time – on the ‘seventh circuit’ as it were, or the time of completion. Victory comes in the manner prescribed by the LORD, even if the means may appear foolish, such as causing a raucous and a blasting of trumpets as seen here at Jericho, or by a single smooth stone in a sling, as seen with the young lad David as he stood before Goliath (1 SAM 17); or Samson with the jaw bone of a donkey before an insurmountable number of Philistine warriors (JUDGES 15), or by the procession of praising priests who went before the armies of Israel, leading Jehoshaphat and his men to victory (2 CHRON 20). We as the church of God wield a Name as our weapon (PHIL 2:10), and His Word which He exalts even above His Name (PSALM 138:2)! Something recorded in a book that on the outward appears as any other book, but is inspired by the very Spirit of Truth which is God Himself. By the Name of our God, and His Word and Spirit, though such things may look foolish to the world, and seem weak and ineffective, it is the weapon of choice which alone avails against the kingdom of darkness; the only means possible by which the Christian warrior can ever hope for victory. Let it not be said that victory is obtained by the warrior wielding the Word as much as the Word wielding the warrior – that is, that the Word holds such absolute sway and governing power over and through our lives, that the Spirit is able to operate fully to implement a full victory unblemished by the slightest mar of defeat. Joshua shouts the proclamation that he himself heard of the LORD, that He indeed “has given you the city”! Thus our victory is already granted, the battle has already achieved its outcome, the saintly warrior has already been granted the glorious vanquishing of victory over all the power of the enemy! In the earlier segments of this Spiritual Warfare series, we did a rather comprehensive study on the armor of God, and there we examined how spiritual victory is obtained, and it most certainly is not through self effort and works, nor in fleshly means of ridding our lives of sin (thereby creating a kind of vacuum from virulent sins and corruption); rather it is by attainment of new life in Christ in the new man, as the old man is mortified – both by faith in the efficacy of the atonement of Jesus Christ and His finished work on the cross of Calvary. What walls exist in our lives today? What impediments lie in the way of our spiritual advancement? How is the enemy hindering our holy progress in the LORD? Walls are like giants (such as Goliath); God brings us to them so that we may know victory and witness the power and the glory of God, and yet how often we allow those walls (or giants) to remain standing, feeling resigned to forever have them block our way in this life. Consider the walls that likewise entrap the lost behind bars of their prison house of perdition; being blind, bound and beleaguered from the power and deceitfulness of sin, they know nothing but slavery and darkness. . . In our lives, there are many means we encounter at the hand of our enemy that would keep us from God’s will; many ‘walls’ and influences that seek to corrupt us and prevent the LORD from working in us that which He purposes. In such manner, Joshua admonished the people of Israel . . . 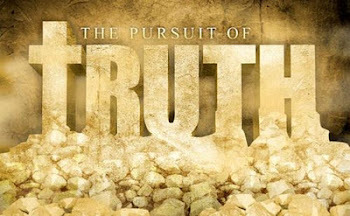 So as Joshua encouraged Israel to remain pure and unspotted (JAMES 1:27) by not partaking of any war ‘booty’ and taking possession of any materials found in Jericho; only the silver, gold, bronze and iron was to be set apart in “the LORD’s treasuries” and these in type represent those reserved by the LORD, for the LORD as vessels unto honor, as opposed to those things in Jericho which were “fit for destruction” (ROM 9:22). Paul likewise encouraged the church to remain pure from any defilements of the world (2 COR 6:17). If any taint of sin is found in Israel or the church, and it is un-confessed and hidden, it can only spell ruin and defeat for the believer. Spiritual victory is won not only by Spiritual armor, but by Spiritual hearts, sanctified and acceptable for the Master’s use! Finally, when we acquire the victory which is promised to us we are in a very real sense in greater danger than if we suffered a defeat! ‘Why is that?’ you may ask; that will be the next article when the armies of Israel led by Joshua come to the tiny city of Ai and learn a hard lesson about spiritual warfare! Until then, remember Nikaeo Aionios!